NintenGen: Super Smash Bros. Wii U Release Date November 21st? 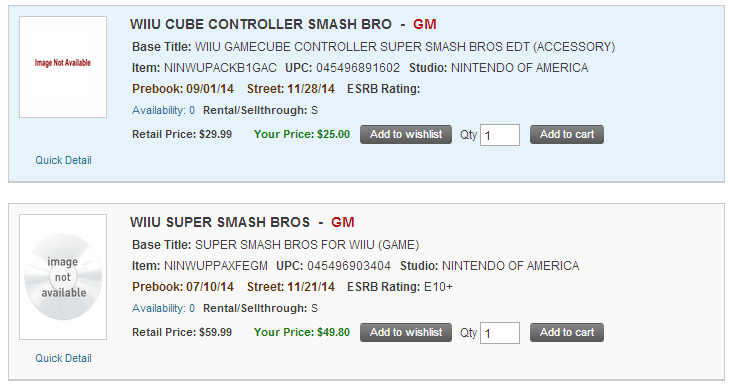 Super Smash Bros. Wii U Release Date November 21st? There was already a leaked release date for the Amiibo figures around the same time as Nov. 21st 2014, now we have a game retailer listing the same date for the actual release of the game itself for the Wii U. Seems to make sense seeing that Black Friday is the following week and Nintendo will be able to ride sales of Smash and still promote Mario Kart 8 in December.